A Spider Lift wouldn’t get stuck here! Why use a lift that a is just going to get bogged like this or crack your driveway getting to your back lawn area. We saw this Boom lift a while ago in school holidays, apparently a neighbour said its been there for weeks. We specialize in compact narrow spider lifts that can do the job of many types of access equipment, these boom lift got there name spider lifts as they use four stabiliser legs to provide stability to reach the tightest of work sites. If fact many of the jobs we have done have with a spider lift never been reached before other since construction. By a boom lift or any other lift. Scaffold is sometimes the only other option that would possibly reach the areas we can but the cost often means a spider lift is the preferred option. Check out our new website www.spiderlifthire.com for more information. 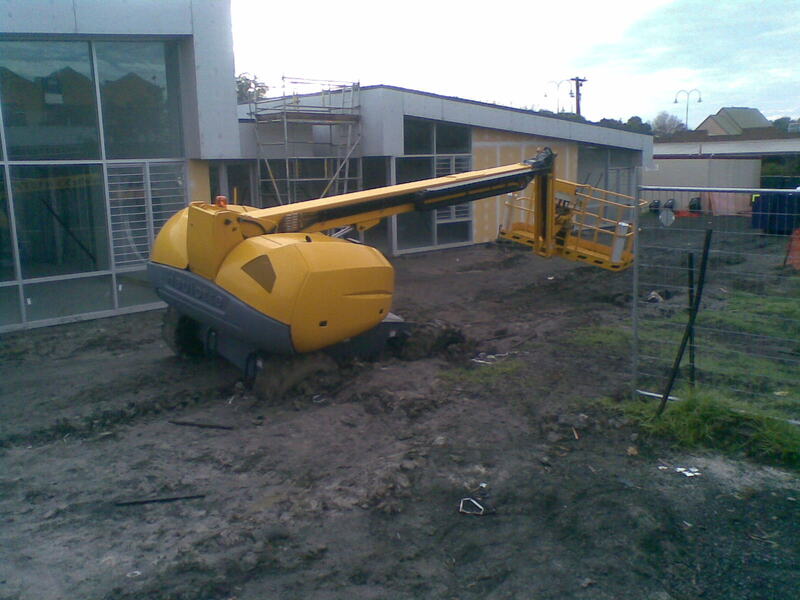 Call Spider boom Lift hire and get the right lift for your job.